Reading about the latest trends in décor can tempt the most restrained decorators among us to buy into choices that later make us wonder what on earth we were thinking. But, how do we prevent ourselves from what we might as well call impulse decorating? Most of us have been there—filling our living spaces with some new trendy accent items that we later use to fill storage closets, yard sale tables, or donation bins. For Woodland Park community members and other residents of Greensboro apartments looking to enhance their home décor, here are some current trends that experts are recommending. Bold, increasingly colorful geometric accents are the current trend. Metallic accents and strong geometric lines on wall décor are for adventurous decorators who want to make a big splash with their statement of taste in interiors. Bright red, mustard yellow, and other colorfully patterned accents. Minimalism continues to rule trends in interior décor. 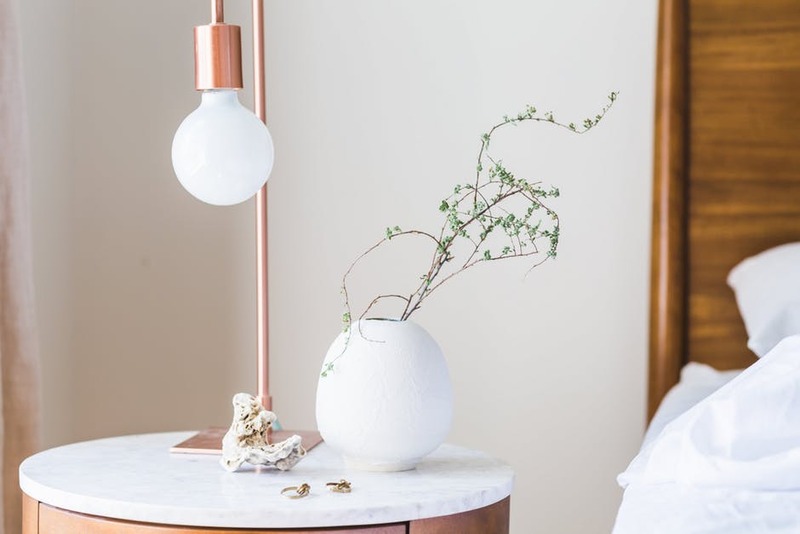 But, to warm up minimalistic spaces and make them more inviting, decorating schemes with earthier tones are replacing cooler colors of furniture and décor. However, bold color pops sparsely sprinkled throughout the décor continue in current interior trends. A new trend is toward making the bedroom a more relaxing space. Neutral colors, sparse furnishings and wall and tabletop décor, and elimination of electronics are some of the solutions decorating professionals are recommending. And, topping your bed with very comfortable sheets and cozy blankets. Offsetting the ubiquitous technology in the average modern home space, it appears that an increasing number of people are craving wood natural furniture and decorative elements throughout the home. Decorators suggest wooden pieces that both practical and suit your sense of style, such as wooden chairs and sofas with plush, overstuffed cushions. Attractive storage chests, boxes, wardrobes, cabinets, shelves, baskets and jars can double as décor. And, a decorative clothing rack, coat rack, an entry table with drawer, decorative umbrella stand, blanket rack, or magazine stand is a practical item that also makes an elegant style statement. The welcoming Woodland Park apartment community in Greensboro features gorgeous chalet-style buildings nestled in lush greenery, tennis court, 24-hour fitness center, resort-style swimming pool, 24-hour business center, on-site fenced pet park, beautiful modern clubhouse, and spacious apartments filled with custom amenities. Call (844) 223-0035 to speak to a friendly, helpful member of professional leasing staff, for information about available floor plans at the beautiful Greensboro Woodland Park apartment community.